For decades, fossil fuel companies like ExxonMobil fought to halt climate change regulations, denying the existence of anthropogenic global warming and funding outside groups dedicated to stymieing environmental laws. Yet, while action on climate change stalled and oil and gas profits skyrocketed, recent reports have revealed that those companies were well aware of the dangers their products posed to the environment. Now, a new California bill seeks to hold past climate change deniers accountable for their actions, by extending the statute of limitations under California's Unfair Competition Law. If Senate Bill 1161 is adopted, those who attempted to deceive the public on climate change could be liable for misleading statements they made decades ago. Few serious-minded people would deny the science behind climate change today. Even major oil and gas companies like Royal Dutch Shell and BP have cut ties with climate change deniers. But a few decades ago, oil companies and their lobbyists fought strongly against climate change science and regulation. Exxon often lead that campaign, spending decades opposing regulations that would curtail global warming. It wasn't until 2014 that the company publicly acknowledged climate changes' risks. But, investigations from InsideClimate News and the Union of Concerned Scientists have revealed that Exxon was well aware of the risks of climate change, as early as 1977. California's proposed bill seeks to hold climate change deniers accountable for those past acts. 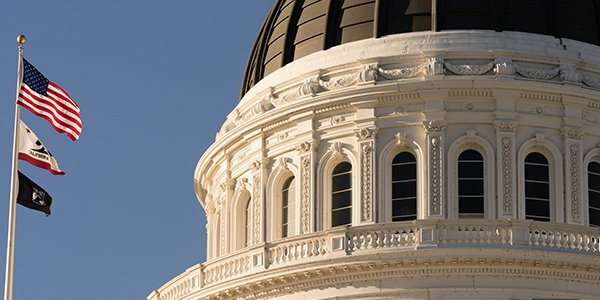 SB 1161, the Climate Science Truth and Accountability Act, would extend the statute of limitations under California's Unfair Competition Law from four to 30 years. That law imposes liability for "any unlawful, unfair or fraudulent business act or practice." The extended statute of limitations could allow state and local prosecutors to bring actions against companies such as ExxonMobil for deceptive acts reaching back to the 1980's. But, that extension is a limited one. It applies only "with respect to scientific evidence regarding the existence, extent, or current or future impacts of anthropogenic induced climate change." And while the state's Unfair Competition Act contains a private cause of action, the extension only applies to actions brought by public prosecutors. While California considers whether to adopt the bill, ExxonMobil faces similar troubles on the East Coast. Attorneys general in New York, Massachusetts, and the Virgin Islands, have already opened their own investigations into whether ExxonMobil intentionally mislead investigators, investors, and the public about climate change.